Each year, the American Composers Forum (ACF) produces an audio CD of recent electronic and electroacoustic music by composers from around the world, principally for distribution to radio stations and other recorded music venues. Each of these discs provides a snapshot of the current state of experimental electronic music, as well as a ready-made programme of works for broadcast or performance. 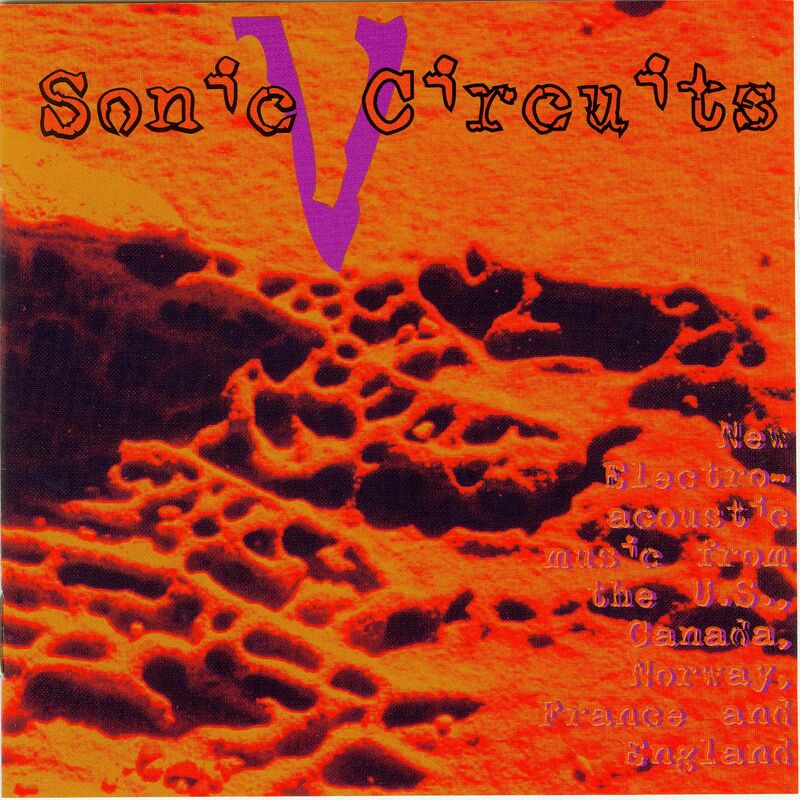 This fifth "Sonic Circuits" CD is the 1997 release from the ACF. One common theme running through most of the works on it is the use of vocal (or voice-like) material as a principal component. Most obviously, this is in the form of speech largely left raw and untreated, as with the spliced and looped radio broadcast samples which make up the entirety of Orchid Spangiafora's "Radios silent", or else the taped telephone conversations of Michael Schell's work, "Jerry Hunt: Song Drape 2", or the snippets of taped interviews juxtaposed with other processed sounds in Katharine Norman's "Hard Cash (and small dreams of change)". Lawrence Fitts uses a one-minute spoken text by Australian sound poet Chris Mann as the source of his short series of variations, each the result of increasing amounts of processing, whilst a commercial recording by the Hilliard Ensemble provided Colby Leider with the source material for his heavily processed "Veni Creator Spiritus". Robert Normandeau draws on vocal samples of the actors from Odile Magnan's radio adaptation of Antoine de Saint-Exupéry's "Le petit prince"(together with his incidental music for that production) for his engaging piece of 'cinema for the ears', "Le renard et la rose".